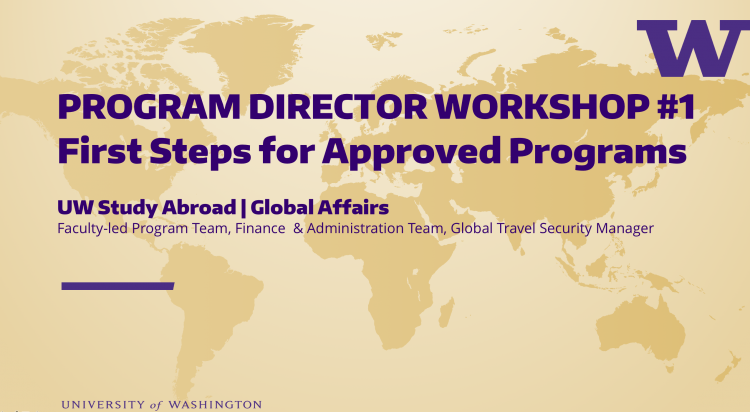 All program directors are required to attend three mandatory pre-departure workshops. 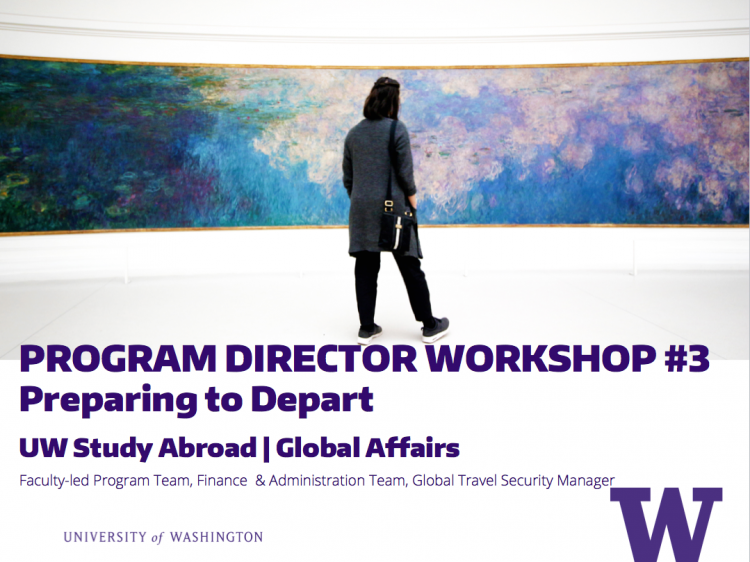 These workshops cover resources and support available at UW to assist you in managing all aspects of your study abroad program. 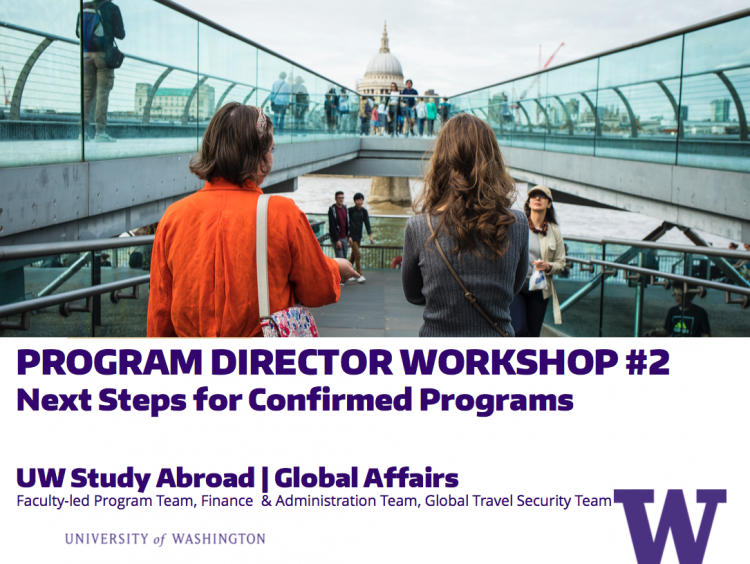 The Program Director Handbook is an in-field companion to our workshops. Material we cover in the session is summarized in this reference guide. 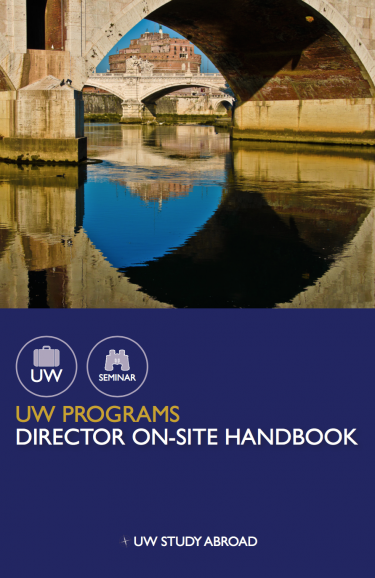 UWSA provides paper copies of the handbook workshop sessions. You can also reference the handbook online and download a copy from our website.